George Atkinson was born in Yorkshire in 1945 and was brought up on his parents farm. George quickly developed a love of the great outdoors and would often be found sat on a haystack sketching the surrounding landscape. 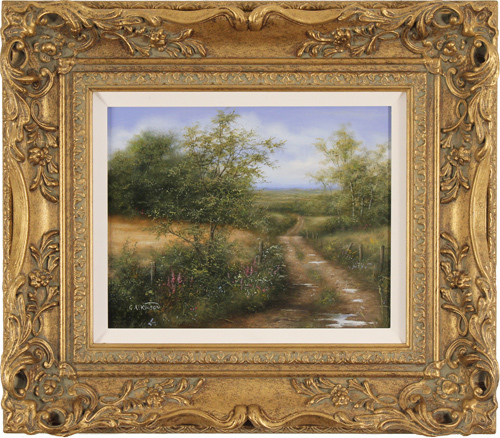 George Atkinson now paints from his extensive collection of photographic material which captures his first and foremost love, the English countryside. Read the full George Atkinson biography.